Get a Cost Competitive, Driver Helpful, DOT Physical Exam at our convenient clinic located at 1525 N. Tracy Blvd. in Tracy, CA. Pass Your DOT Medical Exam! Dr. Marlowe knows how important it is that you continue your livelihood as a commercial driver. With his extensive knowledge of the DOT Physical Exam medical guidelines, Dr. Marlowe will steer you through the DOT Physical Exam requirements so you can Keep on Truckin’. We know your time is valuable! Same Day Appointments, just give us a call! No Waiting! We are committed to getting you back on the road in no time. Looking for a DOT Physical Exam or CDL Physical Exam in Tracy, CA? You’ve come to the right place! Tracy, CA – Ringer Chiropractic is now offering Department of Transportation DOT Physical Exams. Tracy chiropractor Dr. Marlowe follows guidelines set forth under the Federal Motor Carrier Safety Association (FMCSA) medical standards and the nine-page DOT physical exam form. Following successful completion of the exam, drivers receive a Medical Examiner Certificate, which they must carry with them when they drive. DOT Physical Exams include vision testing, hearing testing, blood pressure testing, and blood sugar (glucose level) testing. 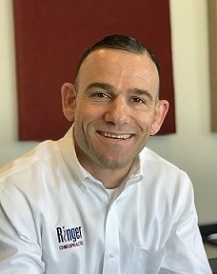 Commercial truck drivers who need an annual Department of Transportation (DOT) physical can now complete their California DOT Physical Exam at Ringer Chiropractic. California chiropractor Dr. Marlowe is trained and certified to perform DOT Physical Exams for California drivers. Requirements for passing the DOT physical include at least 20/40 correctable vision in each eye and the ability to distinguish color. Glasses or contact lenses are acceptable for vision correction. Hearing must be good enough to detect a forced whisper at a minimum distance of five feet. The maximum allowable blood pressure is 140/90; prescription medication may be taken in order to achieve this threshold. While applicants may have diabetes, blood sugar levels must be controlled through medication or diet. Insulin injections are not permitted for controlling blood sugar levels. The maximum allowable blood sugar level is 200. In addition to DOT Physical Exams, Ringer Chiropractic provides comprehensive pain management and injury rehabilitation treatment. This care includes helping commercial drivers manage the aches and pains associated with driving. Dr. Marlowe also provides auto accident injury treatment, whiplash injury treatment, physical therapy services, sciatica pain management, foot pain relief, and muscle pain treatment. Dr. Robert Marlowe, DC is a National Registry Certified Medical Examiner, he performs DOT Physical Exams for Commercial Drivers (CDL Physical Exam).